Variables are nothing but reserved memory locations to store values. This means that when you create a variable you reserve some space in the memory. 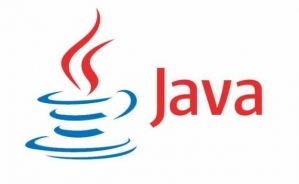 There are eight primitive datatypes supported by Java. Primitive datatypes are predefined by the language and named by a keyword. Let us now look into the eight primitive data types in detail. Byte data type is used to save space in large arrays, mainly in place of integers, since a byte is four times smaller than an integer. A variable provides us with named storage that our programs can manipulate. Each variable in Java has a specific type, which determines the size and layout of the variable’s memory; the range of values that can be stored within that memory; and the set of operations that can be applied to the variable. Here, age is a local variable. This is defined inside pupAge() method and its scope is limited to only this method. The instance variables are visible for all methods, constructors and block in the class. Normally, it is recommended to make these variables private (access level). However, visibility for subclasses can be given for these variables with the use of access modifiers. // salary  variable is visible in Employee class only. Static variables are rarely used other than being declared as constants. Constants are variables that are declared as public/private, final, and static. Constant variables never change from their initial value. Static variables are stored in the static memory. It is rare to use static variables other than declared final and used as either public or private constants. Default values are same as instance variables. For numbers, the default value is 0; for Booleans, it is false; and for object references, it is null. Values can be assigned during the declaration or within the constructor. Additionally, values can be assigned in special static initializer blocks.